Beautiful garden is a perfect place to spend some moments with family and friends. Garden can be made more beautiful and attractive with the decorative accessories. 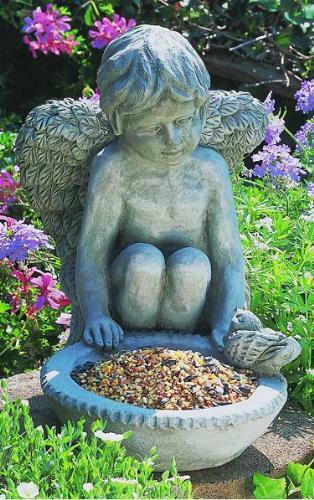 You can decorate your garden from large number of accessories from bird bath or bird feeder, statues, planters, water fall, fountains to garden wall plaques. Accessories used tastefully in garden accentuate the beauty of your garden. There are many garden accessories that are available in different styles and designs, just add it to give unique look to your garden. Garden bird feeders keep birds fed and also great for garden decoration. Bird feeders are available in different designs such as statuary bird feeders, animal shaped, bird shaped, hut shaped bird houses and many more. Bird feeder can be made of wood, metal and ceramic. Wooden bird houses are crafted in mainly hut designs. Ceramic bird houses comes in animal shapes, bird shapes etc. Before getting birdhouse for your garden, decide what type of birdhouse suit your garden decor. Also, the size of birdhouse should be according to your garden size. Garden fountain not only add beauty to the garden also create a soothing water sound that can be relaxing to listen. Garden fountain also invite birds and butter fly to visit your garden and the birds will enjoy the drink and bath. 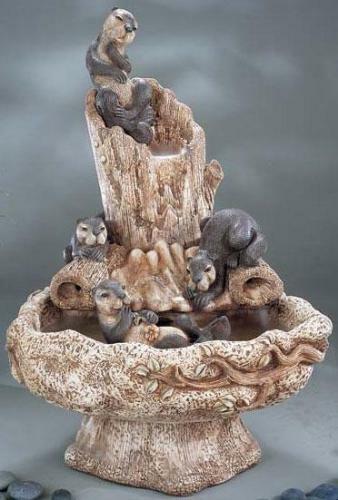 Garden fountain can be of marble, stone, wooden and ceramic material. Wall fountain is a great choice for small garden. Free standing fountains are very popular as these are available in different material such as metal, stone, ceramic, concrete and wood. To make garden fountain center point of the garden, choose a fountain that match up your garden decor. 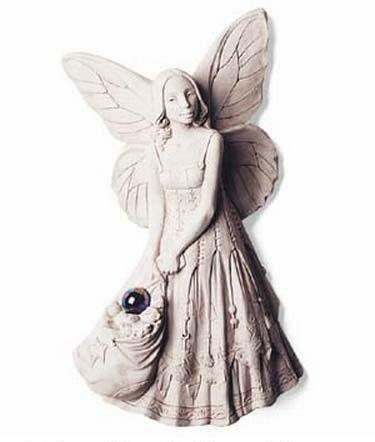 Garden Statues have there own niche in garden decor even though it is a small garden. 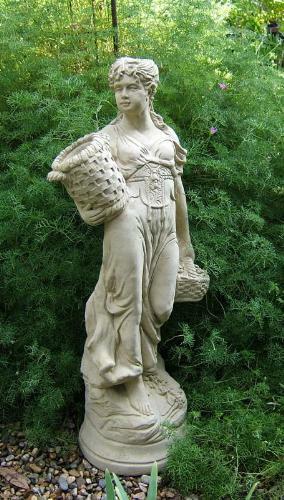 Some popular themes of garden statues are animal, bird, and fairy; historical and religious themes also. Garden ornaments such as small statues, decorative lights, lamps can also be great for small garden. Garden Planters are important part of a garden, as an attractive planter will make your garden more beautiful. There are attractive planters in concrete, plastic, ceramic, terracotta, plastic and wood. Plant containers are also available in different shapes; choose a planter shape according to size of garden and plants. Planters can add height and shape to your garden. Garden Wall plaques are usually made of wood and stone. Generally, garden plaques are used for identification and decoration. Decorative garden plaques can be made of variety of shapes. There are decorative plaques that have the carving of birds, animals, flowers, sun and moon. You can also find garden plaques of the sun and moon combination. Really, there are end less possibilities of what you can use to decorate the garden. Allow your imagination to design a unique garden. You can make a unique mixture of garden decor that will be proud for you. There can be much more to a garden than trees, plants and flowers. 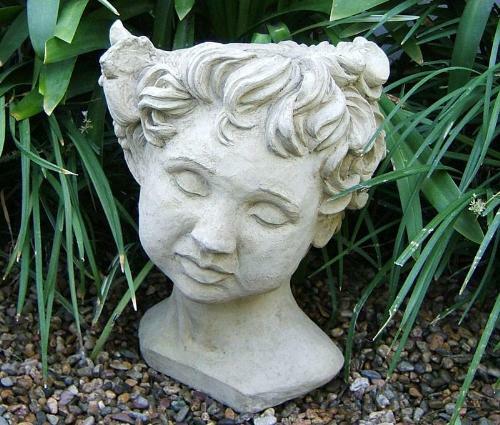 You can add décor to your garden with statue, wind chimes, lamps, benches and so on. Statue in the center of garden or some small statues along the pathway can be your choice. Just decorate your garden with imagination and creativity. Adding a fountain to your garden will invite birds and butterfly to visit your garden. The sound of water running can be relaxing to listen and the birds will enjoy the bath. It will also add the beauty of garden décor. At the end of day when you go to your garden to enjoy the beauty of nature, you need a bench to sit and relax. Various designs and styles of benches create visual look in your garden that you want to wish for. Garden furniture makes your garden relaxing place to sit. You can choose from a wide range of furniture like benches, chairs, dining table, swings and loungers. For best garden furniture know right types of furniture. Are you beginner in gardening and don’t know about gardening tools? To properly maintain your garden, you should have enough knowledge of tools and their uses. Are you starting a garden? It’s a good choice; you can enjoy the benefits of fresh air, beauty of flowers and plants. Gardening is not only growing plants, it needs maintenance, adequate water, pest control and much more. Let us know how to start a garden. And This is in Garden..